The Samsung Galaxy J7 Neo is a smartphone with a 5.5-inch Super AMOLED display with 720x1280 resolution. The phone is powered by a 1.6GHz Octa-Core Samsung Exynos 7870 processor with 2GB of RAM and 16GB onboard storage. There is a microSD card slot for up to 128GB memory expansion. The device has a 13-megapixel rear-facing camera with 1080p HD video recording. In front, there is a 5-megapixel camera. A 3,000mAh user replaceable Li-Ion battery is available with 10 hours of talk time and 10 days in standby mode. Upon release, the phone runs Android 7.0 Nougat OS. Get up to $450 off Galaxy 10+ with trade & new line. Plus, switch w/ Unlimited & get $200 more. $200 off Samsung Note 8 When Bundled with a Service Plan. 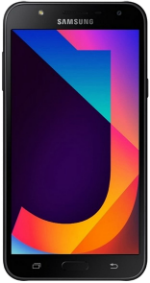 $80 off Samsung Galaxy J7 Crown (S767VL) Was: $199.99 Now: $119.99. Free Samsung Galaxy J3V. New line req&apos;d.
Get Galaxy J3V with Unlimited. $40/line with 4 lines. Buy a Samsung Galaxy S10e, S10, S10+ or Note 9 and get a Samsung S10e for free, or $750 toward a second S10e, S10, S10+ or Note 9. Samsung Galaxy J7V just $5/Month. New line req&apos;d.
Get up to $650 toward Galaxy Note 9. With select trade-in and Unlimited.